Quick! Where in the world does winter start in June just when everyone else is thinking of heading off to the beach in skimpy bikinis? If your answer is the southern hemisphere, then you can gently pat yourself on the back and consider yourself smarter than a fifth grader. And to the southern hemisphere is where Edwin dela Peña of the high school class of 1987 has brought his family in search of better opportunities not only for himself but, more importantly, his children. We are not talking about Australia, which as everyone probably knows is not the only country down undah. Instead, Edwin has brought his family to another country downer undah, if you get my drift. Where else but the land of snow-capped mountains and grassy hills; where there are more sheep than citizens; and where rugby is the game and everything else is for sissies. Where else but the land of the Kiwis, New Zealand! And there will be a lot to see. New Zealand is the country, after all, where the breathtaking mountain scenes in the Lord of the Rings trilogy were filmed. Of course summer will come – oh yes, just when everyone else is dreaming of a white Christmas! “I hope to go on adventure trips to scenic spots outside of the city,” Edwin looks forward to the turning of the seasons. And there will be a lot to see. New Zealand is the country, after all, where the breathtaking mountain scenes in the Lord of the Rings trilogy were filmed. So how did Edwin end up in the land of Frodo Baggins? The company has operations across the Asia-Pacific, Europe, the Middle East and Africa. It deploys around 7,000 people in more than forty offices around the globe. 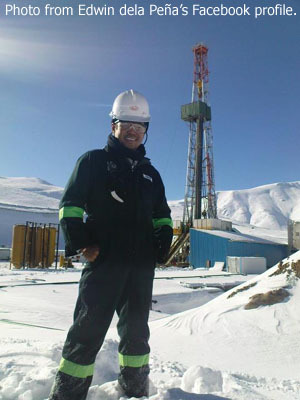 So how did Edwin, a licensed Chemical Engineer, end up in the well-drilling business? To be able to answer this, we need to go as far back as 1987, the year when Edwin graduated from high school. The choice of Chemical Engineering was made, he says, because of the influence of a neighbour who worked in an oil refinery in Kuwait and also because of his high school Science teachers. 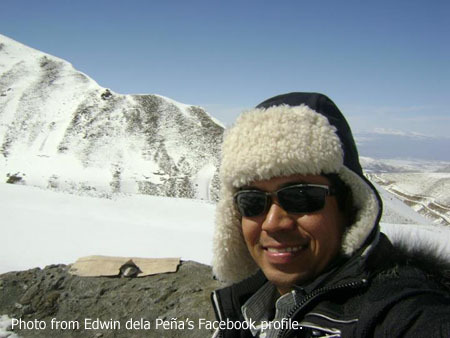 Edwin then enrolled at DLSU-Manila, where his education was funded by the Dr. H. E. Roensch Scholarship Fund. Maintaining the required grades to stay in the scholarship program for all four years of college is something that he considers among his greatest personal achievements. In 1992, Edwin graduated from DLSU-Manila with his engineering diploma under his arm. A year later, he passed the board examinations and obtained his license to practice his profession. He had a brief stint at Nippon Paint but soon decided it was not the company – nor the job – that he wanted to build his career with. “My colour blindness (‘green-red’) made me realize it would be difficult for me to advance my career in industries relying on colours,” he explains. 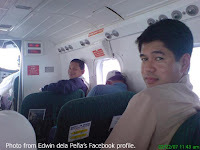 The following year, Edwin found a job with the Energy Development Corporation, the geothermal arm of the Philippine National Oil Company. The company’s business was conducting geothermal exploration, generation and transmission. As Senior Drilling Engineer, Edwin was in charge of managing the design process and drilling program execution in development project sites located in Sorsogon, Negros, Davao and Leyte. There were also exploratory sites in Camarines Norte. It must be said, though, that Edwin’s current company in New Zealand is not merely into drilling. “It caters to a wide range of operations such as defence, energy, power, social/transport water and the environment,” he says. In his current capacity as Senior Geothermal Drilling Engineer, however, he benefits from the accumulated knowledge and experience while working for both EDC and Therma Prime.